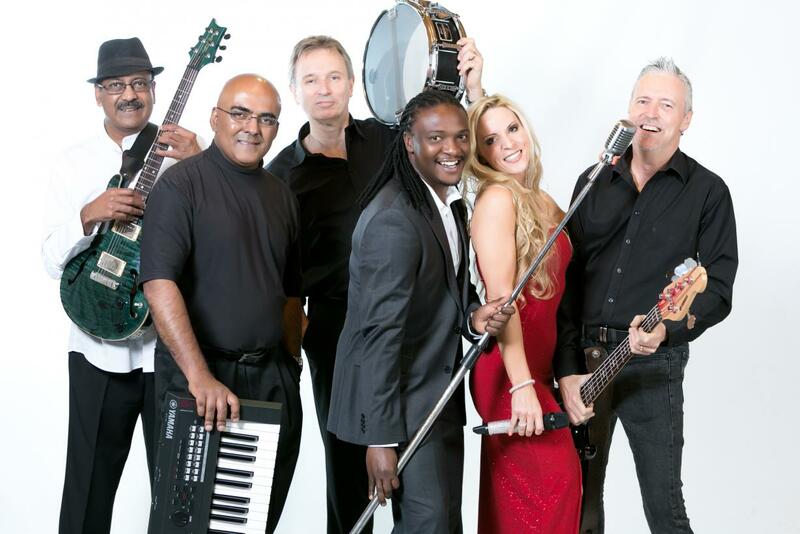 Vantage is an exciting new group put together by ace internationally acclaimed keyboard player Avzal Ismail who has returned recently to South Africa ( due to family reasons) after pursuing a successful career in Canada and London as a musician, actor, coach and speaker. As is his way of doing things, every member of the group has been hand picked for their skill, talent and professionalism. The group is fronted by the incredibly talented and dynamic Andy Klee and Idols participant Monde Msutwana. The core members of the band are among the best musicians in South Africa consisting of Neill Ettridge on Drums, Denny Laloulette on Bass, Gavin ( Gus) Poonan on Guitar and vocals and Avzal on Keyboards. The repertoire of the group consists of a wide variety of music ranging from sophisticated background ambient jazz of an international standard to dance and party hits spanning the decades. Colourful, tight, slick, vibrant, energetic and exciting, this is THE band to have at your function to create an atmosphere like no other.